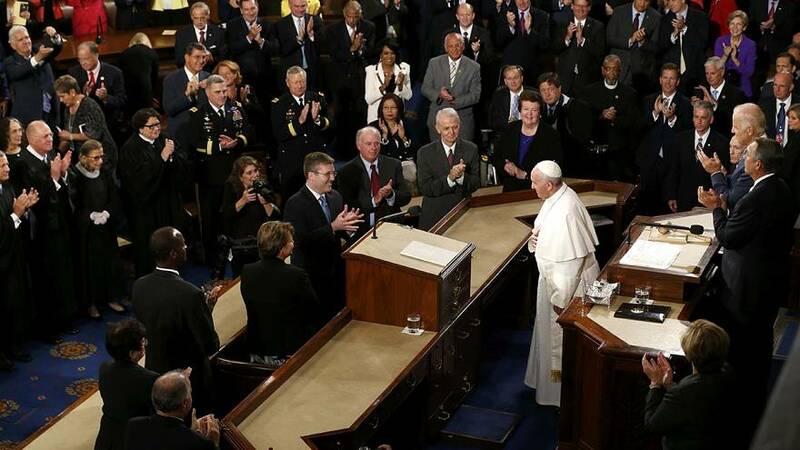 Pope Francis has brought the US Congress to its feet in applause in a speech two both houses meeting in joint session. He is the first pope in history to be accorded the honour. move to the United States as people who are trying to improve their lives and those of their families. It was, he said, a vital aspect of nation-building. He warned that he believed the institutions of marriage and families were under threat as “fundamental relationships are being called into question”, and he condemned the arms trade, calling it “money drenched in blood”.